Powder post beetles refers to the 3 families called Bostrichid, Lyctid, and Anobid. The larvae of these beetles reduce timbers to a mass of fine powder-like material. The adults do not cause damage and usually have short life spans. 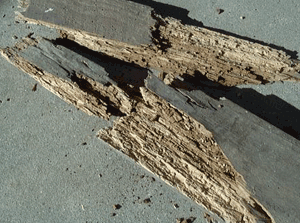 The damage they cause is second only to termite damage. 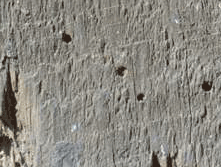 The common identification of damage would be small pen hole opening on the surface of the wood. These infestations are common to a lot of seasoned wood. They are distinguished by the types of frass(saw dust material) that are expelled from the wood. To prevent infestation, areas such as crawl spaces must be well ventilated and wood be free of high moisture. The adults emerge in greatest numbers from April to July. During this time it is likely to see signs of fresh frass coming from the holes. Sometimes when possible it is helpful to lay clean plastic under suspected sites for monitoring of the frass. Some species even make ticking noises, so a careful ear may help determination. To control active infestations, the most common techniques are fumigation. 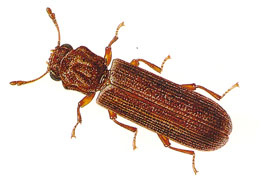 If you suspect you have powder post beetle infestation please Contact Us or call us today at 704-922-5500!